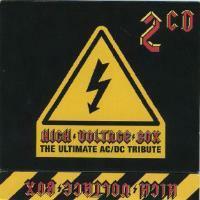 Cherry Red Records have just released High Voltage, The Ultimate AC/DC Tribute. A Superb 30 Track Tribute To The Legendary AC/DC This Two CD collection features tributes by artists such as Lemmy, Pat Travers, Tracii Guns, The Vibrators, Great White and Jetboy. Shake A Leg – D.I.